As the sun glistened through a panorama of windows, John Pancini, a trainmaster representing the Central Indiana Train Show, explained to me how model railroads helped him build the sunroom in which we were relaxing. It&apos;s true. 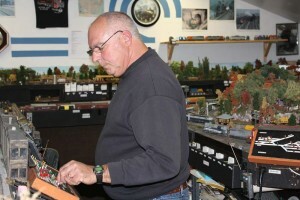 Pancini, 65, Avon, added on to his Hendricks County home by using techniques learned from lifelong model railroading that will put on full display at the Central Indiana Train Show later this month in Danville. Sixty years in the hobby taught him how to lay out a design, lay down wire, work with electricity, build structures and add artwork and other flourishes. During the free Central Indiana Train Show presented by the Central Indiana Division of the National Model Railroad Association, Pancini and three dozen other devoted hobbyists will proudly display their creations, sell products and conduct clinics from 10 a.m. to 4 p.m. Nov. 19 at the Hendricks County 4-H Complex and Conference Center in Danville. I visited Pancini&apos;s home to get a sneak peek of the portable 3-by-11-foot model that he will bring to the Danville show. Made of foam with thin wood bracing, I couldn&apos;t help but marvel at the steeply graded Appalachian Mountains fall scenery. Ah, but this was just the teaser. Pancini motioned me up to the second floor of his garage. After climbing to the top step, I turned the corner and was greeted with eye-popping, model railroad nirvana. The entire 20-by-20 room was loaded with scaled railroad tracks looping on multiple levels. Diesel trains representing the 1960s and &apos;70s roamed those tracks, passing by imaginative structures such as a sawmill or a brick downtown with street lamps. The scenery wowed me with limestone cliffs, quarries and tunnels that looked familiar. That&apos;s because the main route goes from Indianapolis to Bedford, with staging north to Chicago and south to Louisville. 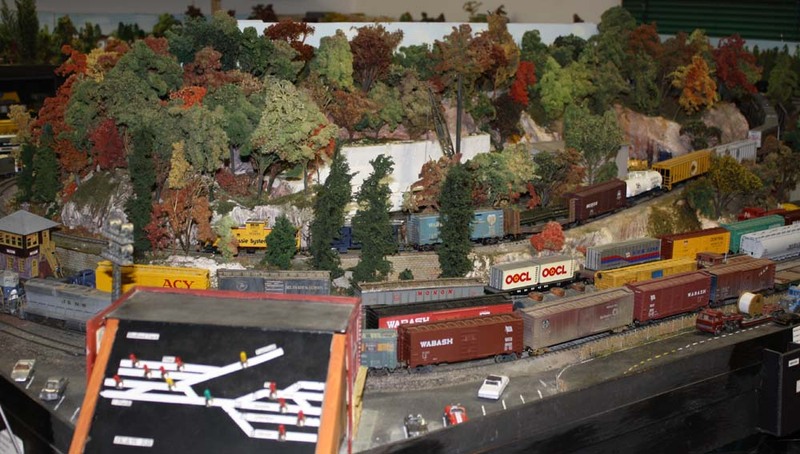 The details seemed endless, and that&apos;s the true beauty of model railroads; no two are alike. At the Central Indiana Train Show, sizes will range from 2-foot squares to 25-by-30. Some are exact replicas of real railroad sections, down the last detail such as actual operational waybills. Others are totally freelance. Some feature scale speeds of 30 mph, some 100 mph. The height and size of the railroad cars also vary widely. What&apos;s important is that the hobby continues to thrive and be passed down through the generations. During the Nov. 19 Central Indiana Train Show, there will be clinics for beginners and beyond; a kids detail hunt where children can look at each complicated layout and find the one item designated by each owner to win a prize; and information about all the newest technologies, such as DCC systems that allow users to digitally control anything and everything via a nifty handheld unit with touch screen. Besides movement, the user can manipulate sound – chugs for the steam engines, horns or bells for the diesel engines. 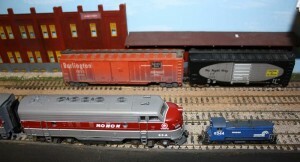 Pancini was 5 years old when his father bought him his first HO scale Wabash freight car and track. "It just brings me back to my childhood days in Logansport," he told me. "The diesels I saw as a youngster, I have as part of my layout. It just brings back such good memories." After getting a taste of it myself, I would encourage everyone to check out the show Nov. 19. You won&apos;t be disappointed.